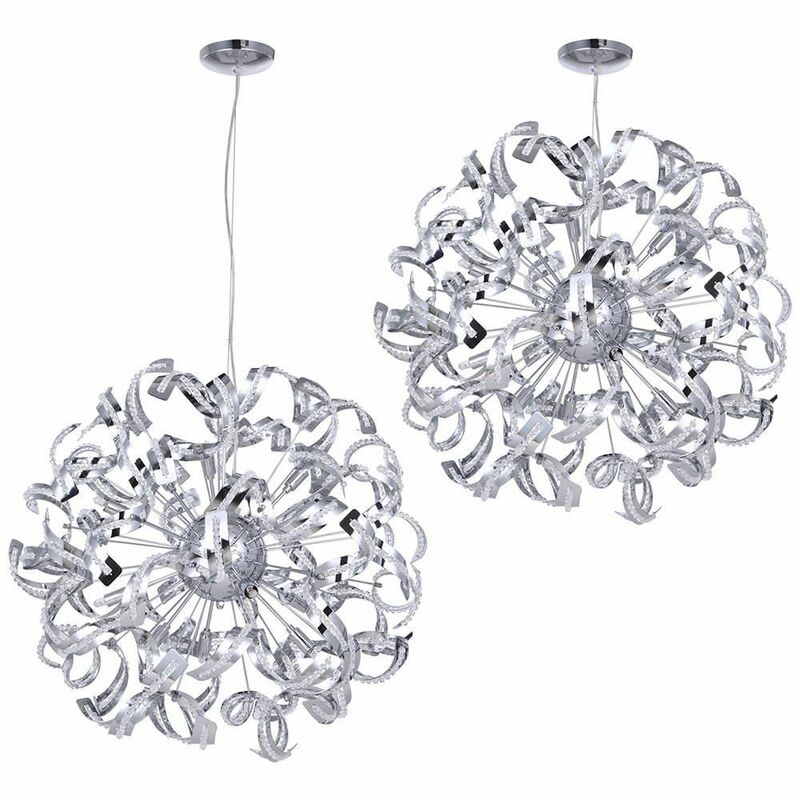 This fabulous pendant light shimmers and shines with light. 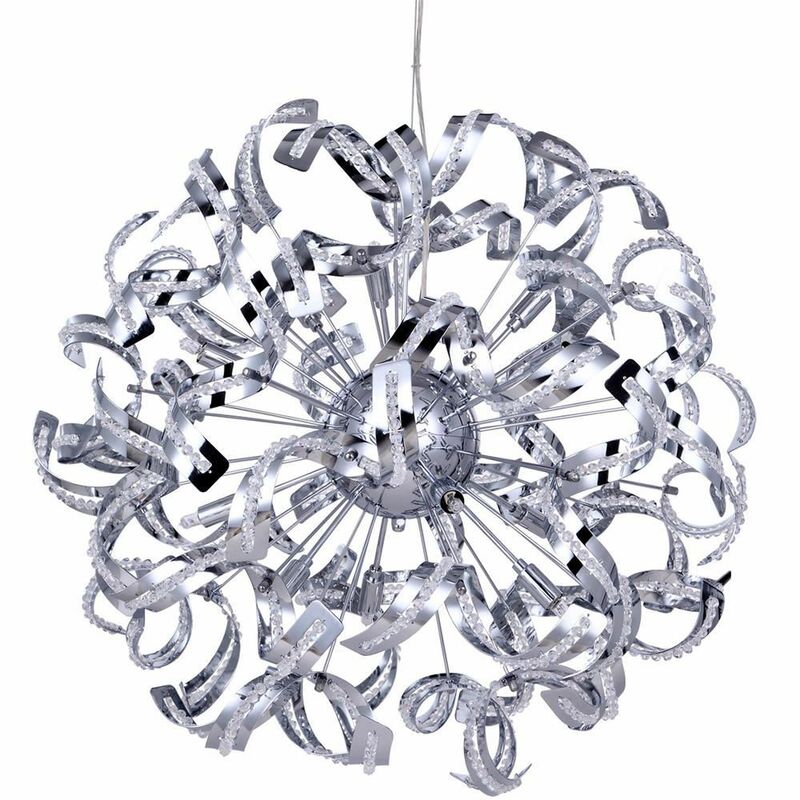 The Twirl ceiling light features a suspended sphere with 12 lights and decorative curled arms. 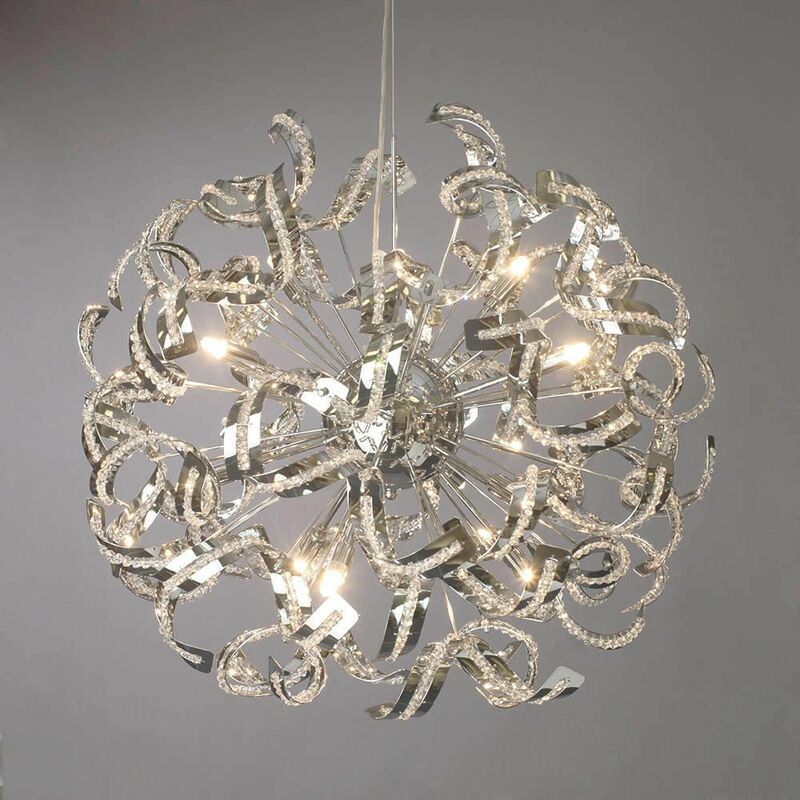 Sparkling crystal effect beading and a sleek chrome finish gives this ceiling light a contemporary feel. 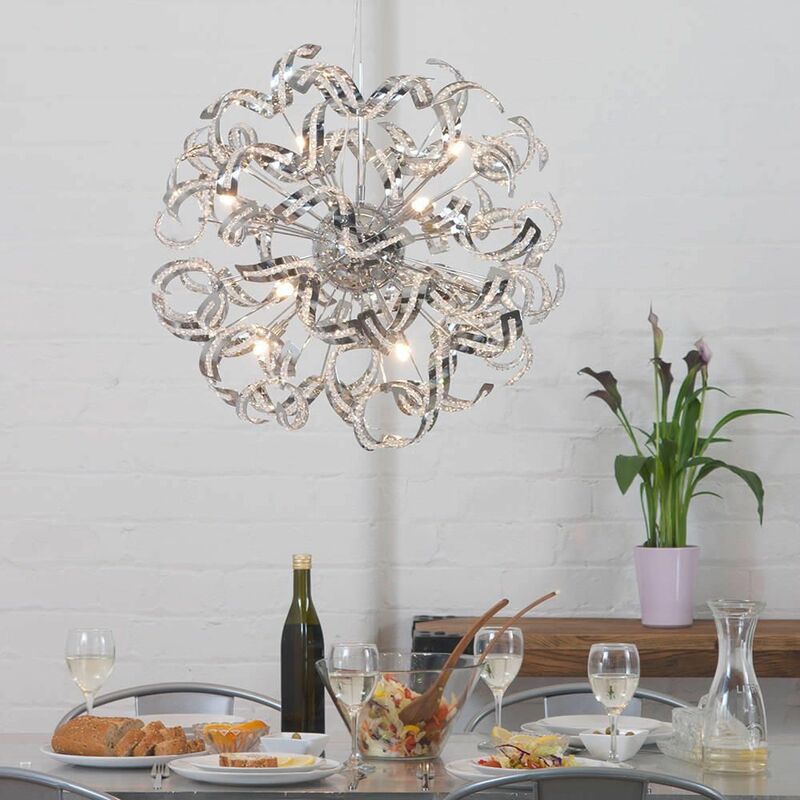 Hang the Twirl pendant light above a dining room table or in an open hallway to create a beautiful focal point. 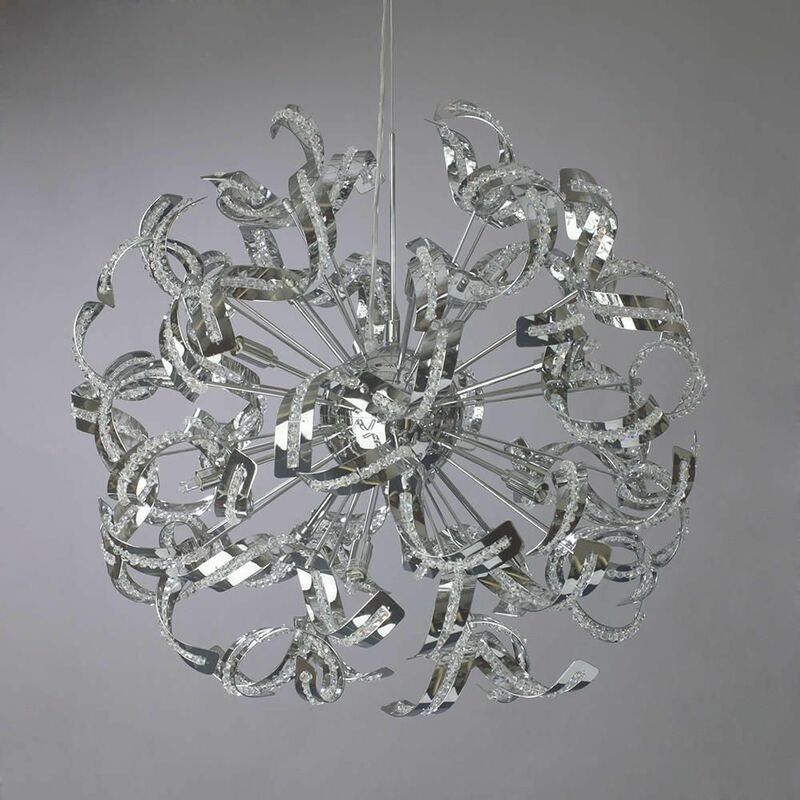 The Twirl ceiling light features an adjustable height to suit every room. Find out how pendant lighting can work in your home with our handy guide to pendant lighting.